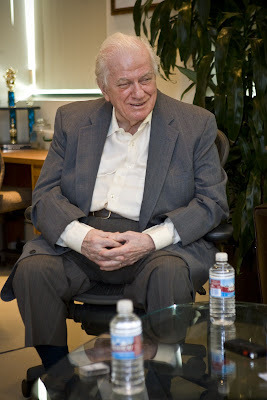 Charles Durning will be receiving Screen Actors Guild Lifetime Achievement Award on January 27, 2008. 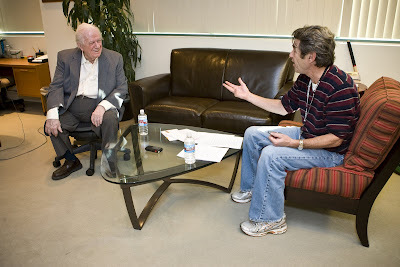 He paid us a visit today and was interviewed by our SAG President Alan Rosenberg. 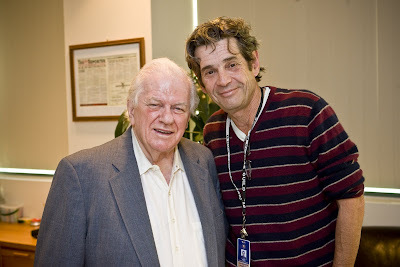 I remember watching Charles Durning as a kid and my most memorable movies with Charles Durning are "Best Little Whorehouse in Texas", "Tootsie", Scarface", and "The Hudsucker Proxy". I'm a fan of his work. He was so funny when he was chasing Dustin Hoffman around the room in Tootsie. He's also an excellent singer and dancer and received 2 Tony Awards for his musical performance on stage. He spoke of many things during the interview and quite a jovial guy with a great sense of humor. He’s actually a Silver Star recipient during WWII. At a poignant moment, he was a little choked up when he spoke of having to kill during the war and later captured twice as prisoner of war. He was actually injured but he joined his troop on the day of Battle of the Bulge. What an interesting man.